The Forecastle Festival 2013 Dates Have Arrived! Grab your calendars! Time to pencil in the dates for your yearly voyage to Louisville’s Waterfront Park! Forecastle 2013 will take place July 12-14. Details on the festival lineup will be revealed in early 2013 and ticketing options will be available in the coming weeks. 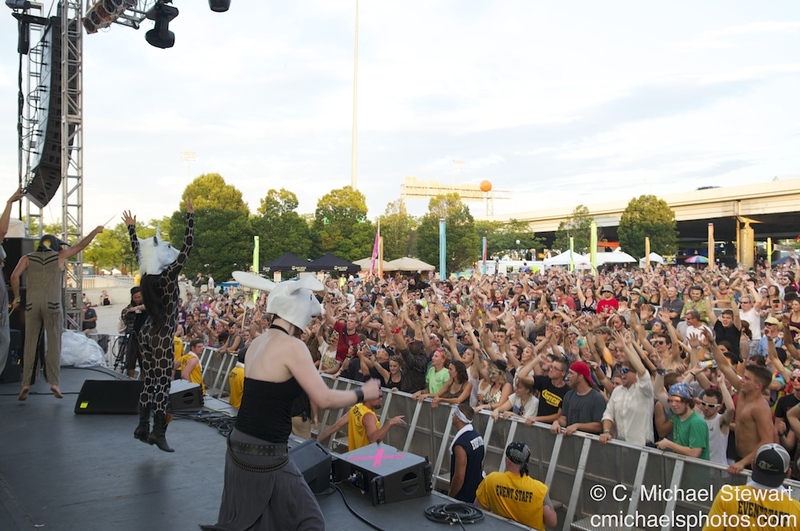 Forecastle was met with rave reviews in 2012, which marked the festival’s 10th anniversary. More than 30,000 fans from 48 states and 7 countries enjoyed performances by more than 65 artists, including a magnificent Saturday headlining set by Louisville’s own My Morning Jacket, hailed as one of their most unique and energetic shows to date. For 2013, the festival will continue to boast the hallmarks of Kentucky culture with an expanded Kentucky Bourbon Lodge, Louisville Village, and other experiences to highlight the best of the Bluegrass State. Relive the magic of 2012 here including special, behind the scenes performances from Deer Tick, The Features, and Houndmouth! Stay tuned to Facebook and Twitter for the latest news on everything Forecastle!